Hey everyone! As the final post of the day, I'm giving the 3's list a bit of a lift. Now that they've changed the spawn timers, this map feels much smoother than before. They also tried to nerf the support meta a bit, but I'm not quite sure if they succeeded. Instead, people are gravitating back towards the tanky utility jungler and still feeding their gold to their top lane carry. We'll see how the meta slowly evolves, but for the mean time I've also added in a separate category for duo top lane melee since it's so popular now. Amumu [God Tier Jungle] - Amumu's latest buffs make him quite strong in Twisted Treeline. His ability to bandage over walls and to absolutely melt tanks allows him to remain relevant and scale well into the late game. Braum [God Tier Support] - Braum synergizes incredibly well with auto-attack reset champions (Xin). In certain scenarios he can be better than Taric depending on your team comp. Examples are if you have a Xin Zhao or a Yasuo as your duo partner or you're fighting a Brand. Galio [God Tier AP] - Galio's waveclear works especially well on this map, and he is very powerful if you plan on running a Yasuo comp. Even if you're not, he's a versatile champion that can fit into several teams. 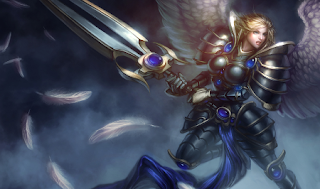 Kayle [God Tier Duo Top] - Kayle is one of those champions whose early game is prone to cooldown abuse, but her late game is unstoppable once she ramps up to two or three items. She also works well with a variety of support champions, but definitely take Nunu if you see a Kayle on the enemy team. Lulu [God Tier AP] - Lulu works well in nearly every team composition. Although her damage tends to be somewhat low, she more than makes up for it through her excellent waveclear and sheer utility. Nunu [Tier 1 Support] - Nunu is stronger than ever before as a result of his buffs. He also makes Kayle nearly impossible to beat in the right hands. Luckily, he also counters Kayle extremely hard as a result of his double attack speed slow. Rakan [Tier 2 Jungle] - Rakan has potential to be a decent support, but the fact that he can't proc relic shield does pose a bit of a problem on this map, as he ends up being choked for farm. He does do fairly well as a jungler though, and his utility plays well with the rest of the meta. I wouldn't consider him powerful though. Shaco [Tier 1 Jungle] - The new spawn timers on this map are kinda annoying for Shaco. It means he gets one less box up, which makes it much more dangerous for him to invade. Xayah [Tier 1 Marksman] - Xayah has the potential to be exceedingly annoying on this map if you let her snowball. Against champions with high cooldown abilities like Amumu or Syndra, Xayah can be incredibly difficult to deal with. However, like all marksmen she tends to be somewhat squishy, so if you can pin her down with some undodgable crowd-control, she can be nullified fairly easily.